Beyond Blush: Wedding Wednesday: Find Your Seat! Wedding Wednesday: Find Your Seat! 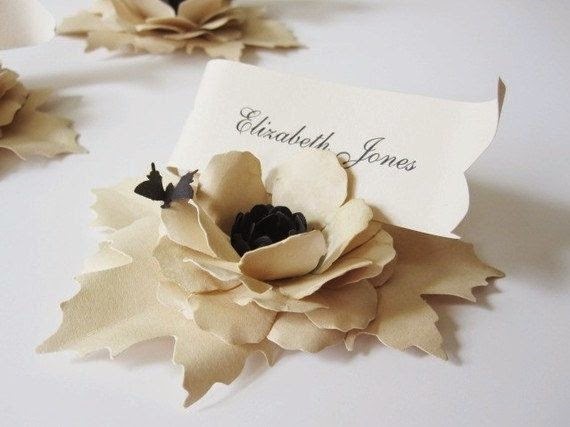 There are so many tiny details when it comes to planning a wedding, including place card holders. 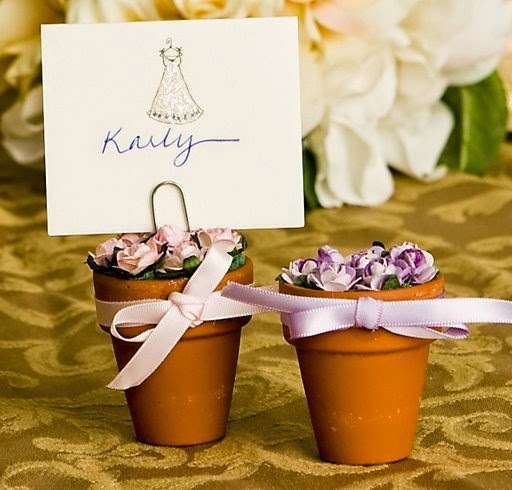 I'm planning an outdoor wedding, and I headed to Pinterest (where else?) for some inspiration. 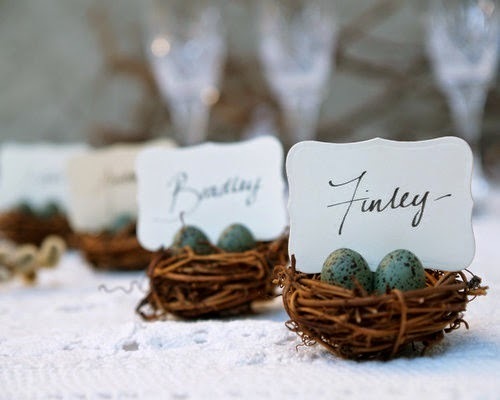 I thought that I'd share my favourite place card holder ideas for an outdoor wedding with you in this installment of Wedding Wednesdays! 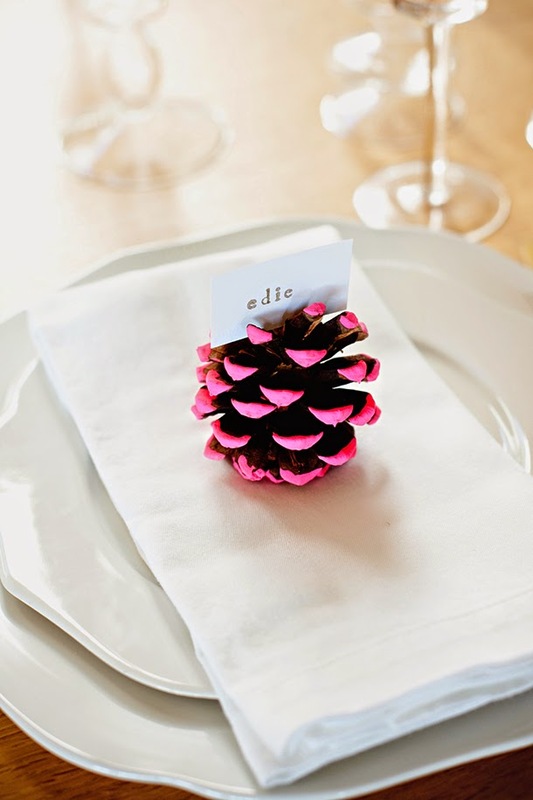 The pinecone! I vote for the pinecone! Definitely my favourite. Aww love the robin's egg one! Soooo cute! Is the reception going to be outside too? I love all the greenery. It's done is such a different way, like the pine cones? Love! I know, I'm loving it!! 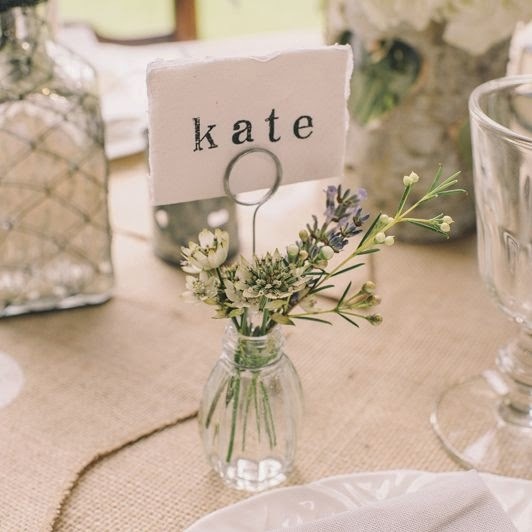 I like the little vase, the one that says "kate" on it. so pretty! And yes, pinterest is the answer to all these wedding ideas!